Location: CR 128, Section 2, Township 5N (Rice), Range 15E, Sandusky County, Ohio. Go north of Fremont on SR 53 for 3-9/10 miles. Turn left on CR 119 and go one mile to CR 170. Turn right (north) on CR 170 and go 4/10 miles. 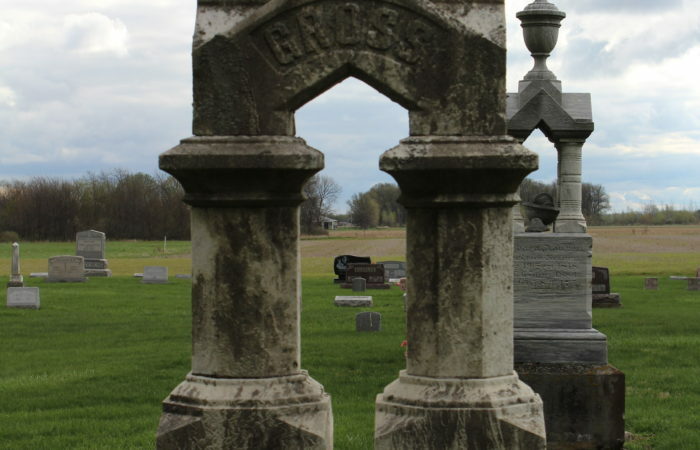 The cemetery is on the east side of CR 170. There is a sign and the cemetery can be seen from the road. It is maintained well by the township. Old “Association” records are held at the Hayes Presidential Center in Fremont. The stones have been read and the information placed at the Hayes Center. Fred Smith sold 1 acre to the Greenwood Cemetery Association in 1878. In 1900 Mr. Smith sold land to the Trinity Lutheran Church which was close to the property sold to the Cemetery Association. 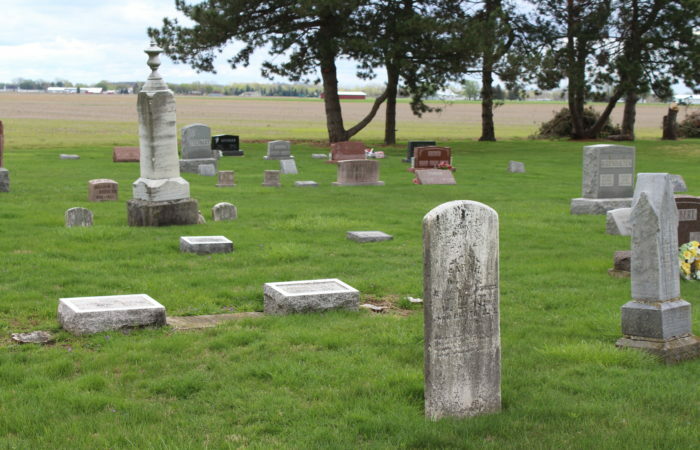 Between the two pieces of property was a plot of land used by the M. Holderman and Fred Smith families for a burying ground. 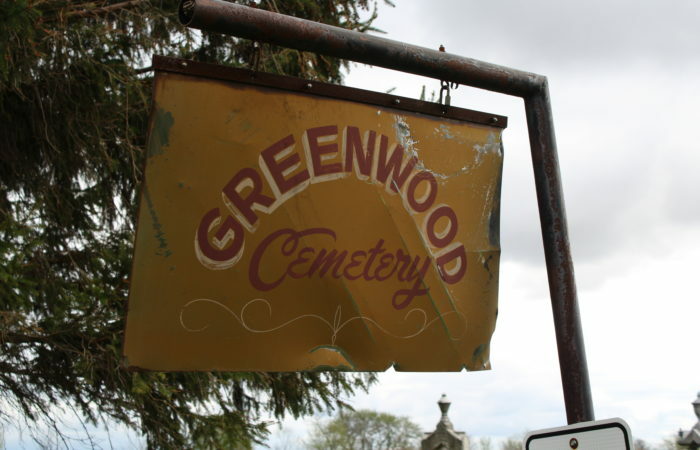 At this time this plot was turned over to the Greenwood Cemetery Association. 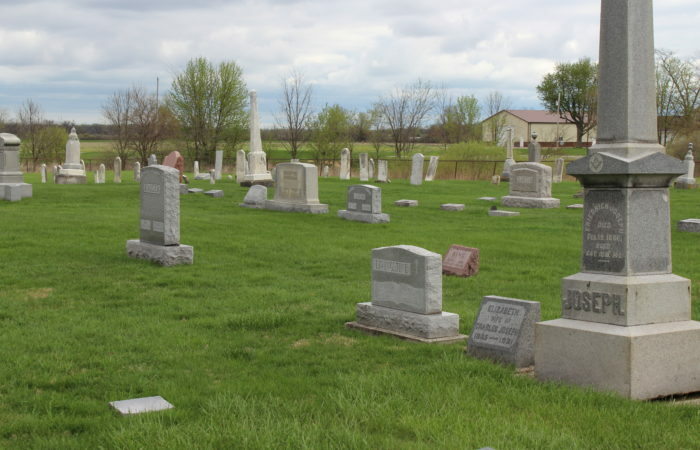 The Association kept care of the cemetery until 1962 when it was turned over to the township trustees. The association records were turned over to the Hayes Presidential Center. Early burials were for the following: Mary Holderman – 1840, Friederich Engler – 1841; Christina and George Smith and Frederick Yunker – 1851.